There is a lesson hidden in this t-shirt design. Well, it's not exactly hidden. We hope you find it. Focus. Another official Groundspeak T-shirt that helps you when Geocaching. Focus on the find and wear your walking! 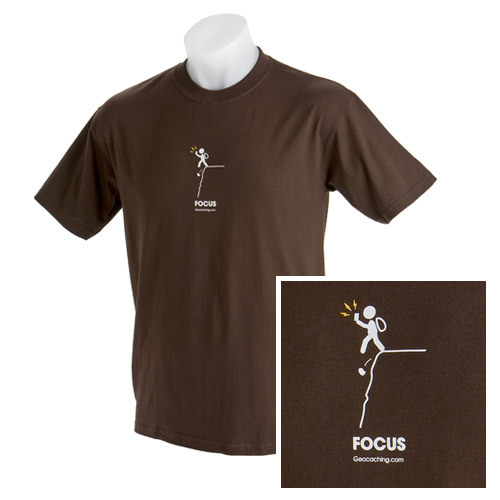 The Focus T-shirt is available in Small, Medium, Large, X Large, 2 X Large - other sizes available to order, contact us with your request. The Geocaching Shop quality T-shirt, high quality t-shirt for the geocacher in you. Available in man.. 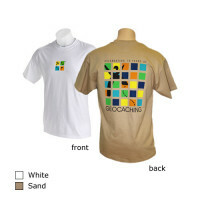 Celebrating 10 years of geocaching in 2010, this special edition anniversary shirt features the logo.. Thanks for the cache. Geocaching T-Shirt. 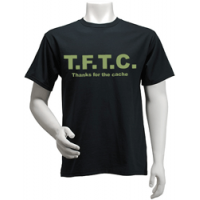 A simple black T-Shirt with the initials T.F.T.C in army g..